This week, my Mercatus Center colleague Andrea Castillo and I filed comments with the White House Office of Science and Technology Policy (OSTP) in a proceeding entitled, “Preparing for the Future of Artificial Intelligence.” For more background on this proceeding and the accompanying workshops that OSTP has hosted on this issue, see this White House site. 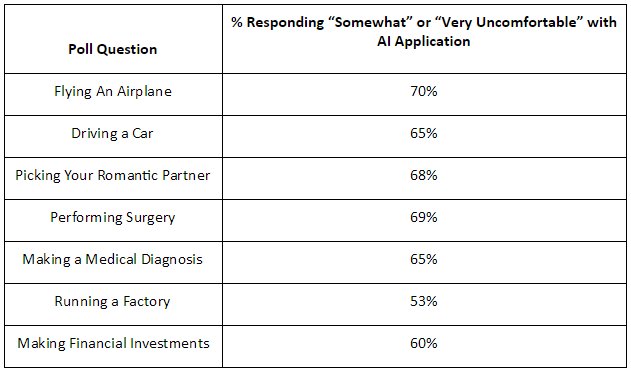 In our comments, Andrea and I make the case for prudence, patience, and a continuing embrace of “permissionless innovation” as the appropriate policy framework for artificial intelligence (AI) technologies at this nascent stage of their development. Down below, I have pasted our full comments, which were limited to just 2,000 words as required by the OSTP. But we plan on releasing a much longer report on these issues in coming months. You can find the full version of filing that includes footnotes here. On May 3rd, I’m excited to be participating in a discussion with Yale University bioethicist Wendell Wallach at the Microsoft Innovation & Policy Center in Washington, DC. (RSVP here.) Wallach and I will be discussing issues we write about in our new books, both of which focus on possible governance models for emerging technologies and the question of how much preemptive control society should exercise over new innovations. 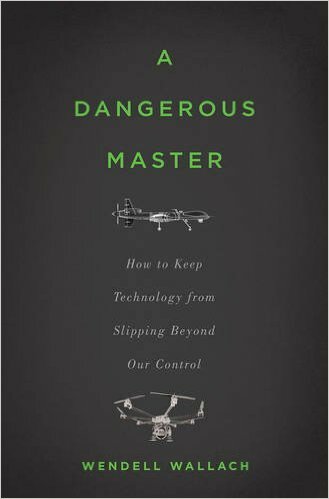 Wallach’s latest book is entitled, A Dangerous Master: How to Keep Technology from Slipping beyond Our Control. And, as I’ve noted here recently, the greatly expanded second edition of my latest book, Permissionless Innovation: The Continuing Case for Comprehensive Technological Freedom, has just been released. Of all the books of technological criticism or skepticism that I’ve read in recent years—and I have read stacks of them!—A Dangerous Master is by far the most thoughtful and interesting. I have grown accustomed to major works of technological criticism being caustic, angry affairs. Most of them are just dripping with dystopian dread and a sense of utter exasperation and outright disgust at the pace of modern technological change. Although he is certainly concerned about a wide variety of modern technologies—drones, robotics, nanotech, and more—Wallach isn’t a purveyor of the politics of panic. There are some moments in the book when he resorts to some hyperbolic rhetoric, such as when he frets about an impending “techstorm” and the potential, as the book’s title suggests, for technology to become a “dangerous master” of humanity. For the most part, however, his approach is deeper and more dispassionate than what is found in the leading tracts of other modern techno-critics. This Thanksgiving holiday season, an estimated 39 million people plan on traveling by car. Sadly, according to the National Safety Council, some 418 Americans may lose their lives on the roads over the next few days, in addition to over 44,000 injuries from car crashes. In a new oped for the Orange County Register, Ryan Hagemann and I argue that many of these accidents and fatalities could be averted if more “intelligent” vehicles were on the road. That’s why it is so important that policymakers clear away roadblocks to intelligent vehicle technology (including driverless cars) as quickly as possible. The benefits would be absolutely enormous.